NEW BEDFORD, Mass. — Southcoast Health announced today that Keith A. Hovan, President and Chief Executive Officer of Southcoast Health, has joined the Massachusetts Business Roundtable (MBR), a public policy organization comprised of Chief Executive Officers and Senior Executives from some of the state’s largest employers. Southcoast Health is the largest employer in Southeastern Massachusetts with more than 7,600 employees. MBR’s members employ more than 250,000 people in the Commonwealth. “Keith Hovan is a respected business leader who has overseen growth and improved care at Southcoast Health, and has led several statewide and national healthcare associations. I’m pleased that Keith will ably add another Greater New Bedford voice to the important work of the Massachusetts Business Roundtable,” said New Bedford Mayor Jon Mitchell. MBR’s mission is to strengthen the state’s economic vitality. MBR engages with public and private leaders to develop public policy solutions that enhance Massachusetts’ long-term competitive position and make it a highly desirable place to do business within a global economy. Hovan was appointed President and CEO of Southcoast Hospitals Group, Inc. in July 2008 and in July 2011 as President and CEO of Southcoast Health, Inc. 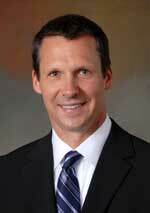 Previously, he served as Executive Vice President and Chief Operating Officer at Danbury Health. Prior to Danbury Health, Hovan was employed at Montefiore Medical Center of New York, where he served as Vice President of Clinical Services for Henry and Lucy Moses and Einstein-Weiler Hospitals. Other assignments at Montefiore included serving as Associate Hospital Director and Administrator for Surgical and Emergency Services. Previously, he served as Director of Nursing for Surgical and Emergency Services, Nurse Manager of Emergency Services, and staff nurse at Bridgeport Hospital. Hovan holds a Master of Science degree in Nursing from Sacred Heart University (graduating first in his class with an Award for Academic Excellence), and is a member of several professional associations.